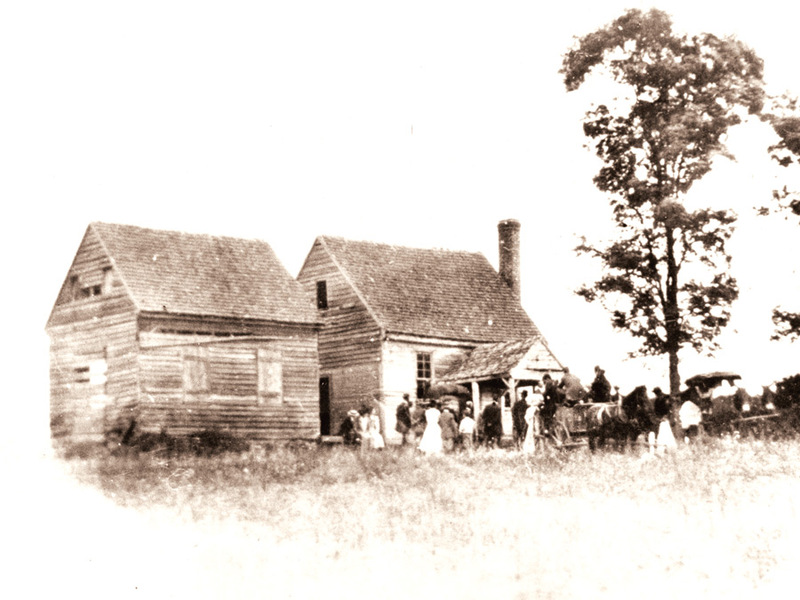 Patrick Henry's home in Louisa was located a distance off the Old Mountain Road near Roundabout Creek. He lived here from 1765-1768 and during that time represented Louisa County in the Virginia colonial House of Burgesses. In the years before the home burned shortly after 1900, people would often carriage out to the site for picnics and gatherings on holidays. Unknown, “Patrick Henry's Home at Roundabout,” Piedmont Virginia Digital History: The Land Between the Rivers , accessed April 25, 2019, http://piedmontvahistory.org/archives14/index.php/items/show/1752.